Get ready for the ultimate Vietnam holiday. Spend twenty days traveling from south to north seeing the vibrant cities, historic wonders and rich culture that define Vietnam. 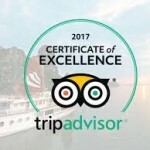 Combine insightful tours with relaxing cruises and village visits, meeting friendly locals and tasting the country’s best food along the way. Upon arrival to Ho Chi MInh City, our guide and driver will be waiting to provide transport to the hotel for check in. Begin Day 1 of this comprehensive Vietnam experience with a full day Ho Chi Minh City tour. Head to Cholon, the Chinatown district, to discover the area’s markets, shops, and the Cantonese-style Thien Hau Pagoda. Visit Vietnam’s first traditional medicine museum, the FITO Museum, with an amazing collection of 3,000 items relevant to the development of traditional Vietnamese medicine. Implements used to prepare indigenous herbs and objects commonly found in traditional pharmacies can be seen in the galleries as well as ancient books and documents on traditional Vietnamese medicine. Head back to the city centre to visit Ben Thanh Market where an incredible display of fresh produce is offered. This afternoon, visit either the War Remnants or History Museum (personal preference) and the former Presidential Palace. Continue with a stroll to the major sights of colonial Ho Chi Minh City: the Old Saigon Post Office, Dong Khoi Street (formerly Rue Catinat), Continental Hotel, Opera House and City Hall (a vehicle will be available at all times). At the end of the afternoon, head back to the hotel. Depart Ho Chi Minh City at 0800 for the drive to Tay Ninh. The scenery changes from urban sprawls to endless rice paddies, with villagers drying noodles by the side of the road and other scenes typical to southern Vietnam. Visit the Cao Dai great temple at Tay Ninh, with its flamboyant architecture, where all the major faiths of the world blend together in a unique religious mosaic. 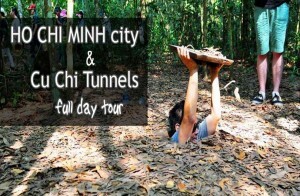 After lunch in a local restaurant, visit the famous Cu Chi Tunnels which consist of an incredible underground tunnel network constructed by Vietnamese resistance fighters (Viet Cong) during both the French and American wars. Start the visit with the Ben Dinh or Ben Duoc sections of the tunnel. Here you can imagine what it was like to be a guerrilla complete with Russian Carbine rifles and AK 47’s on display. In the late afternoon journey back to Ho Chi Minh City. Depart from Ho Chi Minh this morning for the 2 hour drive to the delta town of Cai Be. Upon arrival, board the boat for a cruise through Cai Be floating market. One of the most iconic markets of the region, many traders working the river have been living on these waters for generations. Produce at the market is hung on a pole in front of boats to attract customers and make it easier for people to see from afar what is on offer. After visiting the market, continue to a cottage factory where ‘pop-rice’, rice paper, and coconut candies are made. Return to the boat for the cruise to Dong Hoa Hiep Island, admiring the scenery and the daily life of the local villagers along the way. Lunch is local Mekong style serving specialties of the area. Following the cruise, drive back to Ho Chi Minh City. Begin Day 5 with a transfer to Ho Chi Minh City domestic airport for the 40-minute flight to Dalat. Established as a hill station at the beginning of the century, Dalat is reminiscent of an alpine town with its French chalets and pine forests. An afternoon of sightseeing in Dalat takes in Bao Dai’s Art-Deco Summer Palace that sits on a hill just outside the main centre. Bao Dai was the Last Emperor of Vietnam and the Palace has been preserved exactly as he left it in 1954. Continue the tour with the former railway station (in use only for an optional steam train ride) which is remarkable with its architecture and its old steam locomotive. Visit Xuan Huong Lake and Lam Ty Ni Pagoda where the folkloric a Buddhist monk, Vien Thuc, produces his abstract paintings and writes poetry. End the tour at the town’s bustling central market, renowned for its fresh vegetables and fruit that is rarely found in a tropical country. Depart Dalat after breakfast, descending to the coastal city of Nha Trang. Drive on a panoramic route down a lush mountain pass to the coastal plains of the Central Vietnam. The highland crops of coffee, tea and vegetables are replaced with that of tobacco, grapes and rice as the road moves into dry climate. Follow the coast, passing salt ponds and vivid green rice fields to Nha Trang. Nha Trang has every activity that a sun worshipper could ask for. Besides the pre-requisite golden stretches of land and crystal clear waters, the coast is dotted with many islands, each with their own distinct character. The turquoise waters play host to a variety of marine life, and snorkeling and scuba diving are always favorites. In the afternoon, take a city tour of Nha Trang to visit the Po Nagar Cham Towers, the Alexandre Yersin Museum, the ‘XQ’ workshop where exquisite handmade embroideries can be seen, Long Son Pagoda, with its enormous white Buddha statue, and the lively, colorful Dam Market. Embark on a morning boat trip to Nha Trang Bay, visiting some of the nearby islands perfect for swimming or snorkeling. En route, explore nearby villages or simply relax on the boat’s deck. 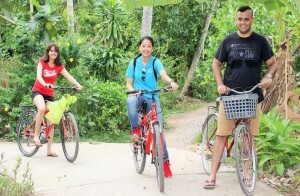 After a fresh seafood lunch on ‘Bamboo Island’, return to Nha Trang City. The afternoon is at leisure to explore Nha Trang independently. Transfer to Nha Trang domestic airport for the 50-minute flight to Danang. Upon arrival in Danang, drive 40-minutes to Hoi An. Hoi An is a destination with two faces – the charming, old-world trading port of narrow streets and traditional houses; and the beach with its new resorts and long stretch of clean white sand. In keeping with Hoi An’s heritage as a trading port, the town’s tiny shophouses host a range of craft shops and artisans including some of Asia’s best bespoke tailors. Despite the passing of 200 years and the ravages of weather and war, the centre of Hoi An remains much the same as it was in its heyday. Take a walking tour of the ancient town centre, visiting former merchants’ houses, the 400 year-old Japanese Covered Bridge, a Chinese communal hall and the colorful market. Start Day 9 with a half-day trip to visit the capital and religious centre of the former Champa Kingdom, My Son. Here, 40km southwest of Hoi An, are dozens of red brick towers and sanctuaries dating from between the 7th and 13th centuries. After exploring the sanctuary (en route back to Hoi An), visit Tra Kieu, formerly known as Simhapuri, the capital of Champa between the 4th and 8th centuries. Some of the finest sculptures in Danang’s Cham Museum originated from here. Enjoy the morning at leisure before leaving Hoi An for Hue, the former imperial capital of Vietnam. Its mesmerizing tombs and mausoleums of the last emperors of Vietnam reveal fascinating insights into the lives of the imperial families and their subjects. The ancient Citadel reflects the pomp and ceremony of the dynastic rulers as well as the scars of many years of turmoil, both ancient and modern. The Royal Citadel was badly damaged in the latter stages of the war but retains a sense of grace and majesty even today. Drive through Danang and visit the Cham Museum, which contains the finest collection of Cham sculptures in the world before climbing over the Pass of Ocean Clouds and dropping down to the wonderfully photogenic fishing village of Lang Co. Continue on to Hue. 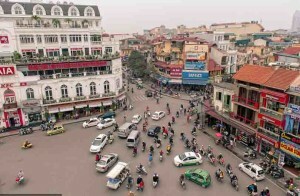 Around 08:30, depart from the hotel for a tour of Hue. Start at the Imperial Citadel where the Nguyen Dynasty ruled between 1802 and 1945. From here take a cyclo through dai noi ‘Old City’ to Tinh Tam Lake where the Emperors used to come to relax. It is full of lotus flowers in summer and there are many local style coffee shops around the lake where university students come to study. After exploring the ruins of this wonderful monument, depart for Thien Mu (Celestial Lady) Pagoda overlooking the Perfume River. Constructed in 1601, the 21-meter tower is the centerpiece of the pagoda and represents seven reincarnations of Buddha. On the pagoda grounds is the famous Austin car a resident monk drove to Saigon in 1963 to protest against the southern regime. The photo of his self-immortalization is one of the most well-known images of the war. Transfer in the morning to Hue’s airport for the short flight to Hanoi. Upon arrival, explore Vietnam’s capital on a guided, half-day city tour. Start with a visit to the Temple of Literature, Vietnam’s first university. Founded in 1076, Quoc Tu Giam was established within a temple to educate Vietnam’s royalty, mandarins and members of the elite. The university functioned for an incredible 700 years and its gardens and well-preserved architecture offer a fascinating glimpse into Vietnam’s past. Next visit the One Pillar Pagoda. Founded in 1049, this is one of Vietnam’s most iconic temples. Just nearby is the mausoleum (view from outside) of the historic father figure of modern Vietnam, Ho Chi Minh, and the former president’s house on stilts where he lived from 1958 to 1969. In the afternoon, visit the fascinating Ethnology Museum (closed Mondays), which is both a research centre and a public museum exhibiting the ethnic groups of Vietnam. As an alternative to the Ethnology Museum, visit the highly acclaimed Vietnam Women’s Museum (closed on Mondays) to gain some insight into the integral role women play in Vietnamese society. At the end of the afternoon, visit Hanoi’s Old Quarter. Take a walking tour through charming Hang Be Market and around Hoan Kiem Lake. This bustling area of narrow streets and alleys is home to literally thousands of small businesses and shopkeepers. It’s a great place to explore with plenty of photo opportunities all around. Become immersed in ancient Vietnamese culture with an excursion to Duong Lam, one of the country’s few remaining ancient villages. 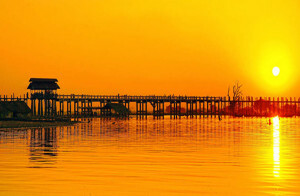 Situated northwest of Hanoi, a tour through Duong Lam is a great way to explore the area’s twelve-hundred year history. Explore houses over 400 years old, wander the village’s narrow alleyways, visit local temples, and most interesting of all and chat with friendly locals. Depart from the hotel and travel west of Hanoi to Duong Lam village, a purely agricultural village of the Northern Red River delta which beautifully preserves many hundred-year-old houses. Visit Mong Phu temple in Mong Phu commune – the only hamlet whose original village entrance remains intact. Continue on through the narrow alleys to see the old laterite houses which make up this charming village. Enjoy a local-style lunch in a 100-year old house. After lunch, continue driving to the 15th century Mia Pagoda, housing 287 statues of all makes and sizes. Then, visit Ngo Quyen temple and Phung Hung temple, places dedicated to two national heroes of the same names. In the afternoon return to Hanoi. Depart from the hotel around 1000, starting the day with one of the inner city’s finest local “pho” stalls. Choice of “pho bo” (beef noodle soup) and “Pho ga” (chicken noodle soup). Continue to one of city last remaining ‘wet markets’ where a huge array of produce is sold. In the morning the market is abuzz with shoppers buying what they need for the day’s meals. Everything from fresh tropical fruits, an abundance of fragrant herbs, fresh meats, fresh flowers and even live fish and frogs are sold! Vietnamese cuisine is highly regarded as one of the world’s best, but few realize the variations that are found within it. At the market, sample some of the available dishes for a second snack today. Then walk through the backstreets where small vendors set up their stalls along the road. Take a rest whilst enjoying some excellent street food including “banh xeo”, and “bun cha” (fresh rice noodles with grilled pork and herbs) or “hoa qua dam” (fresh fruits). Walk down the Old Quarter’s corners, and enjoy a cup of Vietnamese coffee or tea before returning to the hotel to freshen up. Rest of the afternoon is at leisure. This evening, transfer to Hanoi train station for the overnight train to Lao Cai, the gateway to Sapa. Before boarding the train, enjoy a Vietnamese dinner at a local restaurant nearby the train station. Arrive in the morning to Lao Cai Station, where the driver and local guide will be waiting. Have breakfast before driving to visit a local market. It is here that the Flower Hmong, Phu La, Black Dao, Tay, and Nung hill tribe groups gather. The market offers a variety of local products including its interesting animal market where pot-bellied pigs, cows and buffalos can be seen. Continue on a walking tour of Sapa for a visit to another busy market area, where the Red Dao, Black H’Mong, Tay, and other ethnic minority people converge from the surrounding countryside to sell their silverware and handicrafts, and to buy provisions. Following this, take a light trek to discover Sapa’s quaint hill tribe villages set against the stunning Hoang Lien Son Mountain Range and Indochina’s highest peak, Mt. Fansipan. A picnic lunch will be had en route. The rest of the afternoon and evening is at leisure. Appropriate footwear must be worn on treks in Sapa. Note that if conditions are wet, programs may be diverted. After breakfast, depart Sapa for a 30-minute road transfer to Ban Khoang Valley. Enjoy the breathtaking view of Hoag Lien Mountain Range along the way, also known as The Tonkinese Alps. The first stop of the day is at Lu Khau Village in Ban Khoang Valley, home to Blue Hmong and Red Dao minorities. Explore the village on foot, meet the friendly local people and learn about their colorful culture and lifestyle in the countryside. Depart from Ban Khoang Valley for a 8-km road transfer to Ta Giang Phinh Valley and enjoy a local lunch there. 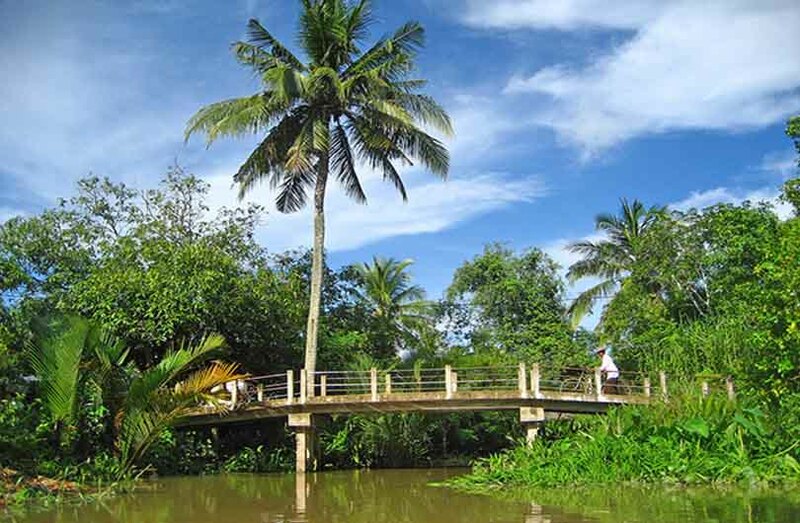 This afternoon, take a leisurely walk through the charming Ta Giang Phinh Valley. Walk on the village path which winds down the impressive valley, home to Blue Hmong ethnic minority people. Visit some local houses to see some handicrafts workshops, observe villagers working in the fields tending their crops with buffalos. Head back to Sapa Town in the late afternoon. After breakfast at the hotel, embark on the scenic drive to the stunning and remote Sang Ma Sao Valley. Explore the beautiful area and authentic village on foot. Meet the White Hmong people in their homes, see how they live and how they work at the fields with the buffalos. Enjoy a rustic, yet delicious lunch at a local house before driving back to Sapa Town. Head back to Hanoi this afternoon via bus. Arrive in Hanoi late in the evening; the rest of the day is free at leisure. 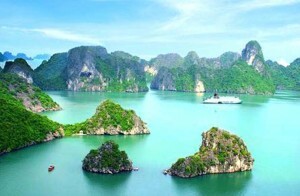 Depart from the hotel in Hanoi for the 3hr 30 mins drive to Halong Bay, including a 20-minute stop on the way. Arrive at the jetty in Halong City (around noon) and proceed with check-in formalities. After a welcome onboard, lunch will be served while cruising towards the bay. In the afternoon, enjoy some activities on board or spend some time relaxing. Towards the end of the day, the boat will set anchor for the night among the karst formations. Dinner is served on board. Enjoy a fresh morning in the middle of the bay. Early risers can catch a sunrise over the bay, followed by breakfast on board the boat. Enjoy dining while the vessels cruises slowly through the magnificent rock formations and back towards port. Disembark and transfer back to Hanoi. This afternoon free at leisure. Today is departure day. Enjoy some free time for last minute purchases or simply relax before the transfer to Hanoi’s Noi Bai Airport for the onward flight.